green tea: Andrea's Years Out-Of-Date TV Picks! Andrea's Years Out-Of-Date TV Picks! At the end of August, Canadian television channels all switched over to digital broadcasting. My hand-me-down analog TV set can't pick up digital signals so I've been without any TV channels whatsoever for over three months. It suits me just fine, to be honest. Whenever I feel like unwinding and watching something, the Internet supplies me with illegal streaming of every program I've been meaning to see. I started off by catching up on missed seasons of the two American shows I follow. They would be Dexter and House, neither currently as engaging as past seasons in my opinion. Then I moved on to the following three top quality programs which are old news to most dedicated TV watchers, I expect. BBC, 2010, 3 90 minute episodes here. Start Episode 1 here. The casting is absolutely spot-on for this update of the Sherlock Holmes character. I love the 1984 series but I am very much in approval of this Sherlock for the present day. Clever dialogue, excellent soundtrack. There's a very batty Mrs. Hudson in this version too, of course! And Dr. Watson is a blogger! Amazing. One thing I did not like, however, was the overuse of tired Chinese stereotypes in the second episode. There are only three episodes in existence but the program already had a cult following. A second series of three episodes is set to start next month. Exciting! BBC, 2008-2010, 6 90 minute episodes here. Start Episode 1 here. My gosh, this series is exceptionally well made. Kenneth Branagh is perfect as police inspector Wallander. Unlike similar characters from other crime shows, he is deeply troubled by every act of violence he investigates. The visual style and, again, soundtrack make the program extremely watchable even with such dark content. 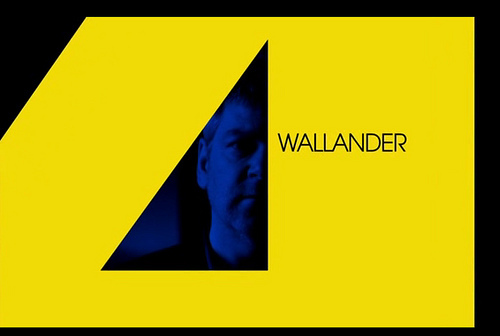 'Wallander' is set in Sweden so there's a sort of simplicity, starkness to it. The city of Ystad, the filming location, has apparently seen a boom in tourists from the U.K. who are 'Wallander' fans. Oh, and three new episodes are set to air next year! BBC, 2009-2011, 12 60 minutes episodes here. Start Episode 1 here. 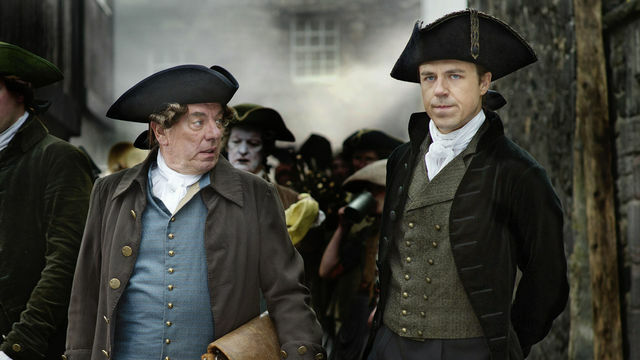 There are not enough films or programs set in the 18th century. That's why I was so delighted to discover 'Garrow's Law', a series about London's Old Bailey judicial proceedings in the 1780s. Georgian men's fashion was splendid: great coats, breeches, tricorn hats and wigs or clubbed hair. The actors in 'Garrow's Law' carry themselves so naturally even in these complicated costumes that I can really picture how ordinary people in the 18th century would have appeared. What I mean is, the costumes never overwhelm the acting. Once again, the beautiful soundtrack enhances the show a lot but I admit that I already love music from this period. Now, the coolest thing about 'Garrow's Law' is that it is based on a real man and all the cases were actual trials of the era (details here with spoilers). Sometimes, the dialogue is pulled directly from the court archives. I have to say that I didn't really get the appeal of the main character/lead actor after the first episode because the pacing was a little too rapid. It gets much better, though, and I eventually had to restrict myself to watching only one episode per night. 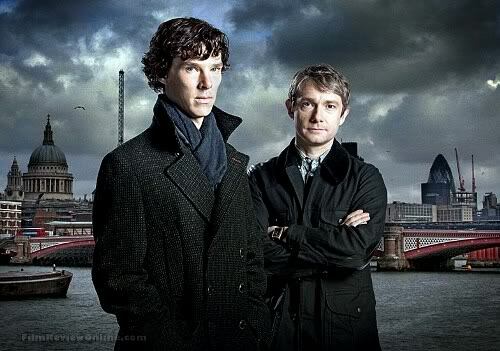 At present, there is no news about any future episodes beyond Series 3. That's what's been on my computer screen of late. Let me know what you think of these shows and please do suggest any other programs for me to check out now that you know my taste! P.S. I'm saving the second series of 'Downton Abbey' for Christmas break. I don't watch TV at all (not even on the computer! ), but I have seen a bit of Wallander while visiting my parents. Have you seen the original Swedish versions? I actually prefer the Branagh's remakes, but the originals are good too. Just watched Sherlock (1st episode) which I figured I would not like but it found it to be brilliant. Thanks.